Personalized Zippered Padfolios Custom Printed in Bulk. Promotional, Inexpensive. Budget Prices in America. Special Clearance Sale! Faux Leather (Leather Imitation) Zippered Padfolio in Bulk, personalized with Gold custom imprint. 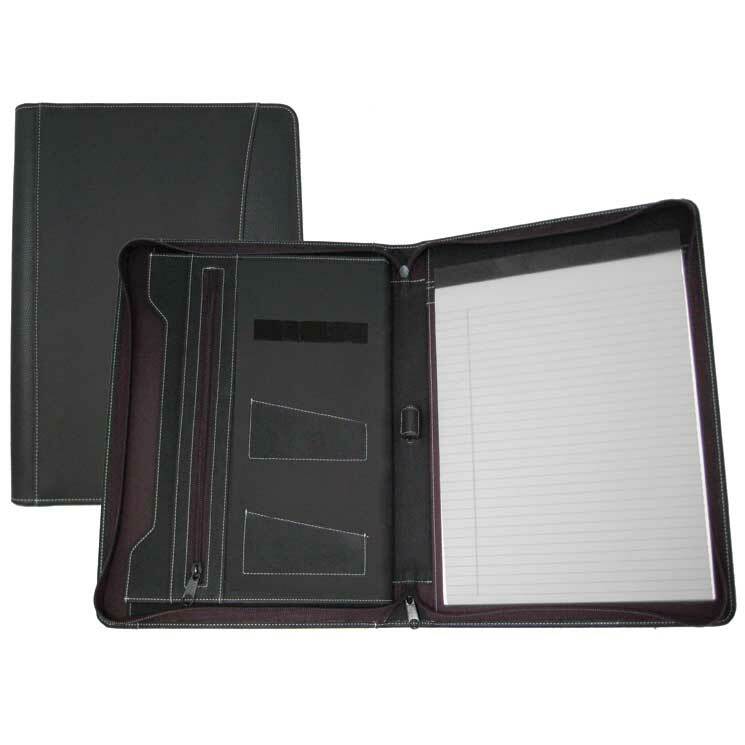 Our bulk faux leather padfolios come with gusset pocket, lined pad, business card pockets, pen loop and memory stick loops. A Setup Charge of $15.00 per imprint color. Setup Charge: $20.00 per order. Production Time: 7-10 days after art approval; contact us for faster delivery. Material: Italian eco-friendly faux leather. Colors: black, tan and navy with tan trim. Gold screen imprint, on front. Maximum Imprint size: 2" x 1"
GUARANTEE : We guarantee all product for imprint quality and against manufacturer's defects. Your satisfaction is guaranteed.